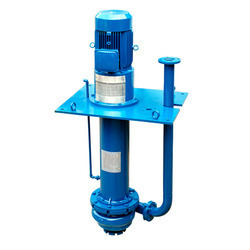 Manufacturer & Exporter of Vertical Sump Pump. Our product range also comprises of Axial Flow Pump, Propeller Pump and Slurry Pump. As multistage pumping systems, these Vertical Sump Pump offered to provide for a cost-effective alternative to other available pumps available in the market. These come with wear-resistant bearings and different surface installation choices. Available in different flow capabilities, these also require less maintenance with modular designs that provide for flexible usage. Some of its advantages include latest bearing sections, enhanced pressure handling capabilities, based on energy-efficient technology, supporting optimum fluid transfer support and pressure boosting capabilities. 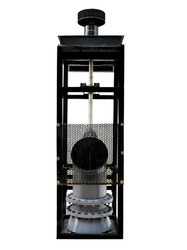 Vertical Pump offered can be made available by us in different finish configuration choices and allows for operation temperature below 120 centigrade. Finding use in water and chemical mediums, these stainless steel pumps can be offered in functional capacity of up to 1450 m3/h as well as with inlet diameter of 15 to 500 mm. Some of its features include available in power range of up to 160kW; head support of up to 155 m; option of different turn speeds of 1450/2900 r/min; cast iron/stainless steel finish; meet the demands of high-rise pressurized water delivery; meet long-distance water supply.